Rotary’s Camp Florida is a 21 acre, non-profit camp which opened in 1991 for those with special needs. It operates year round and serves about 3,000 children and adults yearly. Most of the campers have life limiting conditions such as Muscular Dystrophy, Multiple Sclerosis, Cancer, Leukemia, Diabetes, Blood Disease, Amputees, Tourette’s Syndrome, Perthes Disease, birth defects, etc. Many are in wheelchairs and need close supervision for medical and personal safety. Campers come from as far as away as California and Canada. The camp serves as a resident camp and/or a day camp and has features including camper cabins, infirmary, library, recreation halls, swimming pool and many others. It is located on a beautiful, waterfront property where the campers can spend time fishing from the dock. “The dock was in desperate need of repair because a lot of the boards had warped and kids in wheelchairs couldn’t access it. Many of them cannot cool themselves down because of their injuries and illnesses so we’re putting a roof so they can fish and enjoy it,” said Elizabeth Fields, executive director for Rotary’s Camp Florida. Earlier this month, Lowe’s store #57 located on Causeway Blvd. and the Lowe’s store #2282 in Valrico joined forces and provided about 50 volunteers to refurbish and make the dock 100 percent accessible to those with disabilities. They also installed a new shaded fishing area for the special needs campers that use this facility. Lowe’s employees Brian Udell and Andrew Fullington headed up the project while Lee & Sons and ZCI Construction also stepped in to help with the roof of the dock and ensure its safety for the mainly young campers that will utilize it. “We couldn’t do this without Lowe’s,” said Fields. 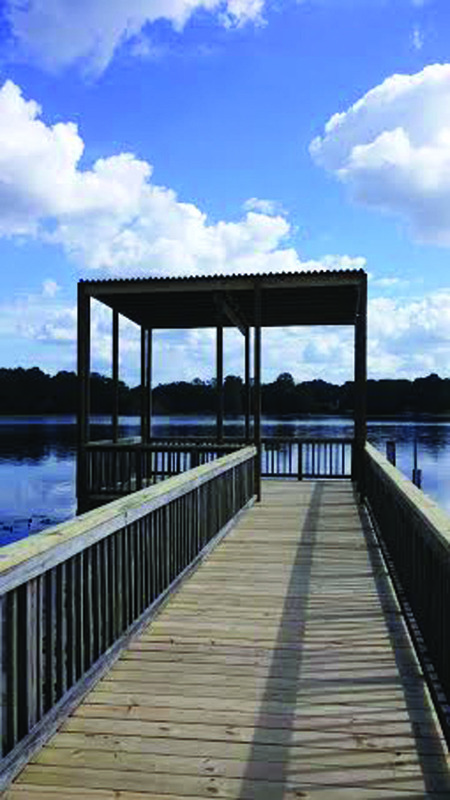 For more information about Rotary’s Camp Florida or to find out how to rent the facility, call Fields at 653-7200, e-mail rotarycampflorida @verizon.net or visit www.rotaryscampflorida.org. The camp is located at 1915 Camp Florida Rd. in Brandon. Rotary’s Camp Florida, Inc. is a 501(c)(3) tax exempt corporation. All gifts are tax deductible.